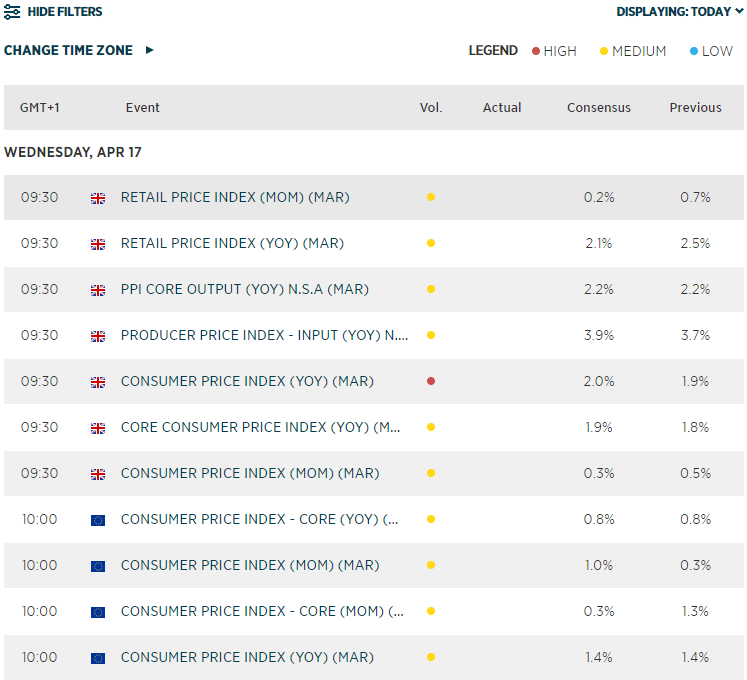 Weak CPI data saw NZD explode to the downside, making it the weakest major by a log shot early on. Given that RBNZ shifted to a dovish stance in their last meeting, it sees an increased likelihood of a cut in May. Strong data from China saw AUD/JPY punch its first target. GDP remained steady at 6.4% (above 6.3% estimate), retail sales beat expectations whilst industrial production hit a near-5 year high. USD/JPY briefly touched a 6-month high before retreating within its 30-pip range seen this week. The lift in sentiment also saw NZD paring around 2/3 of losses at one stage before retreating lower once more. Index future are mostly higher, Gold’s breakdown has stalled near yesterday’ lows around $1276 (near its 200-day eMA), US10Y touches 2.6% with improves sentiment, WTI continues to look firm around $64.50 after a surprise drop in inventories.